That's why you live in Chelsea or visit to recharge. ​And your own True Nature? Let us hold a space for you to reconnect with the best that is inside of you. Arrive at a studio situated under majestic trees; come inside to slow down and rejuvenate so you feel better from the inside out. 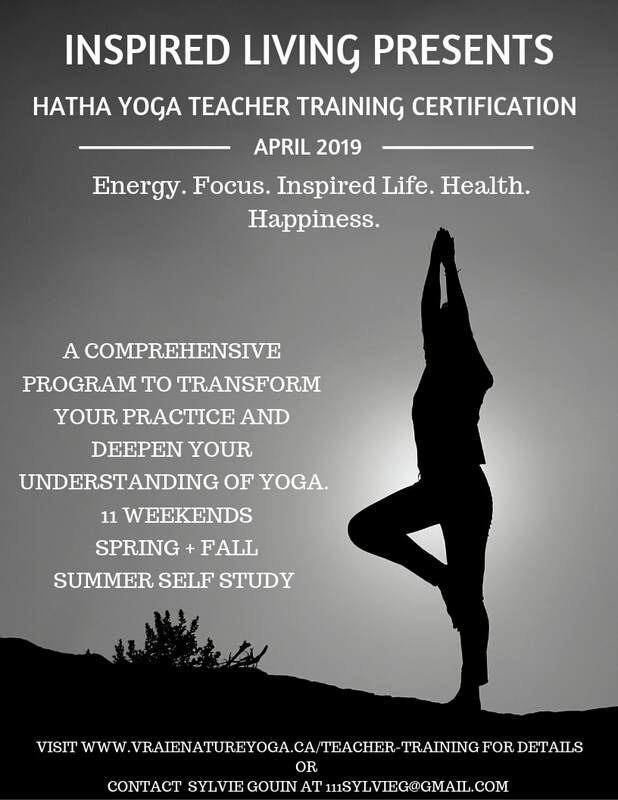 ​Beginning the weekend of April 12th the Inspired Living Teacher Training Program kicks off for its 3rd year at Vraie Nature! We are proud to host this amazing 200hr training at our studio here in Chelsea, QC - ​Sylive Gouin is one of the most experienced yoga teachers and trainers in the Ottawa/Gatineau area. ​Join us and get ready to dive deep; following a path of self discovery. Take as many classes as you like within 30 days. We offer a variety of classes led by experience instructors. ​membership pass for $80 per month. Check out our previous newsletters here.